The online sports betting platform of GTBets was formed out of the remains of VIP Sportsbook and BetGameDay back in 2011. However, it may have only had five years in the business, but in that time it has managed to establish itself as one of the leading sites in the industry, even offering its services to US-based players. The GTBets website is actually based within Curaçao, and as a result of this, the gambling licence it holds is also from there. It’s perhaps best known for its ability to provide Bitcoins as a valid depositing method, meaning that any player who enjoys utilising the virtual currency can do so with ease and security. Not only that, but anyone accessing the website will have full access to a varied range of sports events and games to bet on. As far as the online site goes, it’s decked out with a vibrant blue background and the orange tones of a basketball accompany this. It’s all nicely laid out and designed in general, although it seems to lack some of the modern and updated pizazz that several other sportsbooks bring to the table. That being said, the site is very easily accessible, with links along the top to the various different sections of the platform, and down the left hand side to the various different sporting events. This is what constitutes the basic interface of the GTBets website, so it’s all pretty much able to be navigated around with simple clicks. Many people will search automatically for the offers included on a betting site, and this one does provide its players with one or two options in this area. Anyone wishing to join the platform as a new player can make use of the sign up bonus, which is provided on top of your first deposit. If you’re looking to make a general deposit, you can take the 100% bonus up to $250. However, if you’re a bit more of a high roller and would like to make a bigger first deposit, the site offers a 50% bonus up to $500. The minimum overall deposit is $35, while the maximum stands at $1,000. Joining this is also what’s known as the ‘Reload Bonus’. This is an automatic bonus program, which gives you between 5% and 50% of your proceeding deposits as a bonus. However, these are not the only promotions available to take advantage of, because GTBets also has some frequently seen offers, like the refer a friend plan. This provides you with 50% of your friend’s initial deposit, up to $400, and there’s also something known as the ‘$50,000 Parlay’, something which you’re able to take a shot at with just $5. You simply need to parlay a 15-team side into the jackpot victory. Regular email promotions are also sent out to registered members, so you’ll never be short of offers to claim at this platform. Obviously, the main focal point of this website is its sports betting products, and there’s a plentiful choice of these on offer to ensure that you get access to all your favourites. The first three category choices that you’re able to select from are ‘Special Wagering’, ‘Today’s Live Events’ and ‘Future Live Events’, which give you basic overviews of a variety of sports. However, below these you’ll find the options for the different specific sports, starting with the NBA, MLB and NHL. Gamers will also have the chance to look through events from the worlds of soccer, rugby, cricket, horse racing and many others, so there’s no downfall in terms of the range of sports on offer. For those players who also have a preference for casino games at times, there’s also the GTBets casino section available. This offers up a choice selection of products for you to satisfy your slot or table gaming needs on, and these are provided via such big name developers as Betsoft, amongst others. So, you’ll be able to access such options as ‘At the Copa’, ‘Event Horizon’ and ‘Once Upon a Time’ in the slot options. Further to this, a variety of table games have been added to the site, such as ‘Multihand Blackjack’ and ‘Caribbean Poker’, while video poker makes up some other options. So, whatever your gaming pleasure, this platform is quite likely to have it. Offers a wide range of sporting events you can wager on. Sign Up Bonus up to $250. There are a few different payment methods that you’re able to take advantage of at this platform, starting with the regular Visa and MasterCard products. Prepaid gift cards are also accepted, as are the online eWallets, Skrill and NETeller. 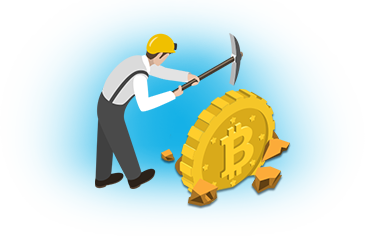 Bitcoins are probably one of this sportbook’s main attractions when it comes to depositing and withdrawing, and transactions with this method are free on both counts. The maximum amount you’re able to deposit using Bitcoins is also increased up to $3,000. The great thing about GTBets as well, is that there are multiple methods of contacting the support team available. The live chat can provide you with the most direct form of support, being available between 10:00 and 04:00 EST between every day. An agent can be reached over the phone by calling 1-800-509-4847, and this method can be utilised between 10:00am and 00:00 EST, while emails can be sent to [email protected] as an alternative. This sports betting platform is very much one of the best available to American citizens, mainly due to the wide range of sporting events you can wager on, and because of the fact that there are multiple depositing methods available as well.